Saved by the government during the last economic crash, General Motors (GM) again has turned to the federal government for special favor. This time they want to saddle the public with a National Zero Emissions Vehicle (NZEV) program to support expensive battery-powered vehicles (BEVs). Until now, Mary Barra, GM’s CEO, has done a credible job of guiding GM from its tenuous situation after the government bailout to what, until now, has been steady progress. She guided the company through a devastating ignition key problem, sold its money-losing German subsidiary Opel, and introduced a relatively good BEV, the Chevy Bolt. But this latest move will anger its customers by eliciting the government to provide more taxpayer money, i.e., subsidies for BEVs, to support the company. General Motors … wants the Trump Administration to juice its bottom line with a truckload of electric-car mandates and subsidies…. The shame is that GM doesn’t seem to mind becoming Government Motors. Under the proposed program, automakers must sell a specific percentage of their cars as BEVs going forward. The mandated zero-emission sales mix would rise 2% each year, reaching 15% in 2025 and 25% in 2030. Existing BEVs represent 1% of total light vehicle sales, while 15% would require the sale of 2 million BEVs in 2025, six years from now, a 50% annual increase in sales. The proposal to have 7 million BEVs and plugins by 2030 results in an accompanying payment of over $27 billion taxpayer dollars, assuming an extension of the current $7,500 subsidy for BEVs and $3,500 for other plug-in vehicles. And in an attempt to achieve their profit objectives, the automobile companies will have to raise prices on all their ICE-powered vehicles, which is a hidden tax on all their other customers. Presumably, if the system works as it does in California, a few car companies will earn Zero Emission Credits they can sell to company’s who don’t meet the proposed sales targets. Who ultimately pays for those credits? Taxpayers. Perhaps Government Motors (GM) doesn’t realize that many Americans don’t want to wait an hour to charge their BEV while away from home. Or that they don’t want to pay twice as much for the family car. Who will benefit from this program? Wealthy customers in California and the other ten states who have a Zero Emissions program. Who will lose? Middle-class Americans living in the Midwest who buy SUVs and pickup trucks. So what is the motivation for this proposal by Government Motors? It’s the same as it is in California, i.e., to cut CO2 emissions. Government this, government that…. But at what cost to consumers and taxpayers? 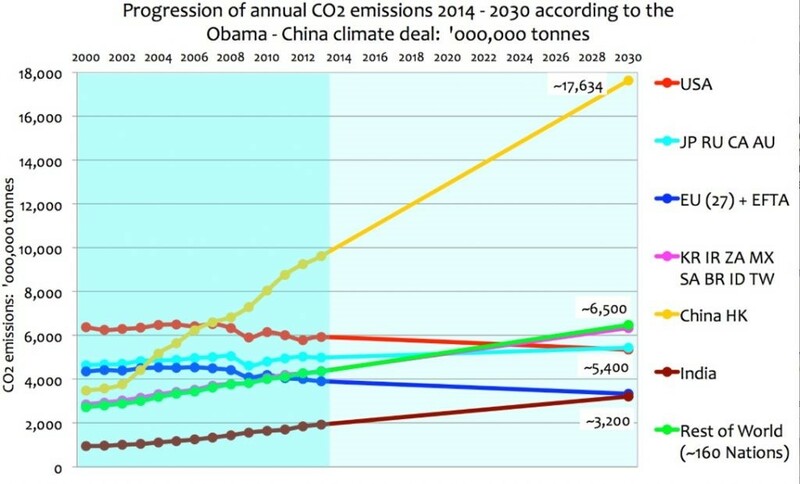 And for what gain in global CO2 emissions given the projected emissions from China. So, Government Motors (GM) is seeking government intervention, not only for an NZEV program but also for the government to establish more bureaucracy to generate more government proposals for how the automobile industry should be run. 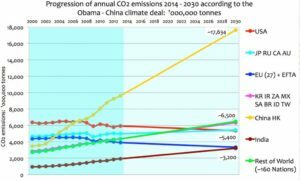 What are the “complementary policies” the Zero Emissions Task Force will propose? More, and bigger government? This clearly demonstrates that government motors is seeking government intervention in the free market. It’s just another nail in the coffin of free markets–and sponsored by industry leaders, not Bernie Sanders. My visit to the BMW factory in Regensburg Germany confirmed that the factory of the future had arrived. The takeaway? There is no need for a government-mandated “50 state solution” for a National Zero Emissions Vehicle program as proposed by GM. GM’s recent proposal (above) to mandate the manufacture of battery-powered vehicles (BEVs), claims that a government mandate would prevent car manufacturers from having to produce cars for different markets, i.e., those markets that require Zero Emission vehicles, e.g., California, and those that don’t. GM claims that building cars for different markets would be inefficient and impose added costs on them. Yet robots and computers have created a highly flexible and automated factory that can produce a variety of cars in the same factory. Thirty years ago, before the advent of computers and robots, this might have been a valid concern. But today, as demonstrated by the Regensburg factory, cars can be built for multiple markets in the same factory, using the same production lines. BEVs, i.e., zero emission vehicles, can be built using the same production lines as are used to build internal combustion engine (ICE) vehicles. 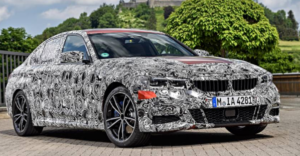 Any visitor viewing the BMW Regensburg plant could see multiple varieties of BMWs being built on the same production line, one behind the other. Cars with driving wheels on the right side for use in the UK were followed by cars with driving wheels on the left side of the vehicle for use in other countries. Cars with black interiors were followed by cars with white interiors. Over two dozen varieties of wheels are available on the BMW, with the wheels arriving on the assembly line just in time to match the vehicle ordered somewhere in the world by a customer. The frame is matched to the chassis with the engine ordered by the customer. In the future, the chassis could just as well be for a battery-powered, zero emission vehicle. GM and other automakers have the capability with the factory of the future to build both BEVs and ICEs in the same factory, for whatever type vehicle the customer ordered. It’s possible the Germans are ahead of US manufacturers with the factory of the future. If so, US manufacturers should get their act together and build their factories of the future rather than hiding behind the government’s petticoats and bureaucratic regulations. GM and the other US manufacturers should focus on being competitive rather than trying to force Americans to buy a vehicle mandated by the government. Perhaps we’ll see a few more electric vehicles in the Midwest…powered by coal.